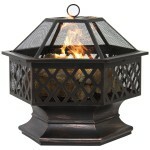 A fire pit is one of those outdoor features that is a functional necessity if you want to bring the indoor living experience outside with you. 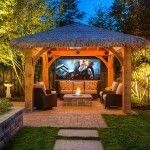 Not only do they afford the possibility to create that campfire effect by keeping warm and doing some roasting, fire pits totally transform an outdoor living spacing by acting as centerpieces where friends and family can cozily gather to relax and have fun. 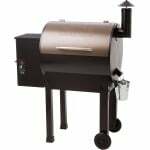 However, you want to enjoy your fire pit experience without having to worry about ruining your floor surface, the grass under your fire pit, your wooden deck or burning property. 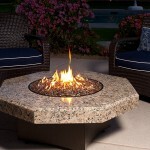 Like anything ‘Fire’ a fire pit can be a very dangerous and destructive piece of equipment to operate in your outdoor living space when not handled with care. We all know what fires do from kids to pets tripping and getting burns not to mention what the smallest piece of flying ember has the potential to do to property. Other than the damage from direct contact with fire, the heat generated from fire pits can be damaging to the surface on which the fire pit is placed if it is not heat resistant such as a wooden deck or grass. 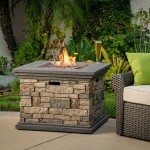 You can easily find a hardboard of cement, landscaping tiles, concrete or any other heat resistant material to put under a fire pit on grass or your precious deck. These non flammable, heat resistant materials will absorb much of the heat thereby insulating your surfaces from the fire pit heat. You create an elevated platform by creating a permanent kind of brick pad by using some cement which is convenient or you can temporarily arrange them perfectly under your fire pit ensuring the surface underneath your fire pit is completely covered. Brick pavers are most definitely heat resistant and strong enough to withstand extreme heat temperatures so you will be most assured your grass will be protected. 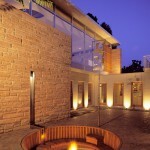 If pavers are not readily available at home you can cheaply buy them. 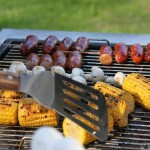 However just remember that a fire pit could tip over when placed on an elevated surface so be careful here. 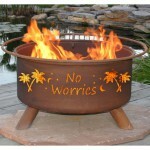 Use protective fire pit pads and mats designed to put under a fire pit. 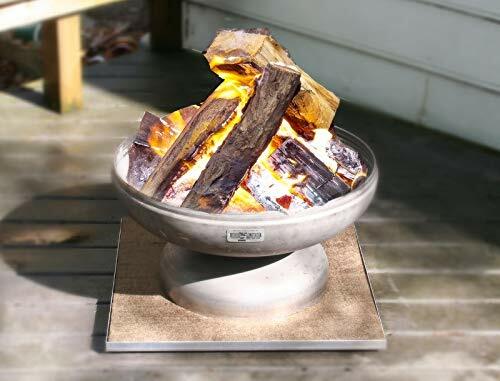 If you would rather skip all the Do-it-yourself processes and just find something that is ready made, you will be glad to know that there are protective fire pit pads and mats designed specifically to used under a fire pit for heat shield purposes. 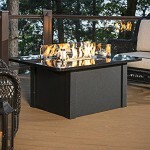 If you’re looking for a cheap fire pit heat shield and deck protector, then this fire it pad will be suitable for you. It is the cheapest of the lot and frankly, quite affordable on Amazon. This protective fire pit pad deck protector is made with Z-Flex Aluminization that reflects heat thereby protecting your deck surface or patio from excess heat. Also features Z-Block technology, the same technology used to protect military equipment and air-crafts from the risks of fire and heat. 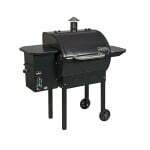 Comes in just 2 sizes: 16″ diameter and 24″ diameter. 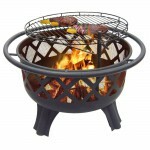 The reflective silver side of this fire pit pad should face up towards the fire pit when in use. 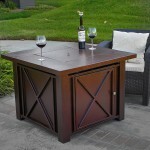 For long term durability store it flat without bending or folding. Also avoid exposure to moisture. Also note that there must be at least 1 inch of space in between the fire pit and this fire pit pad, as it is not designed for direct contact with heat from the bottom of your fire pit or grill. 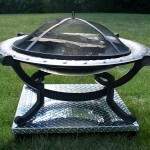 This fire pit heat shield is designed and manufactured in the USA. This deck defender and grass guard fire pit pad has been extensively tested to extreme conditions to ensure it is 100% fire-proof and weather resistant. 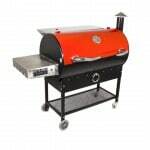 It will withstand temperatures as high as 1,500 degrees F.
It is quality hand crafted using the finest materials and comes with a powder coated steel frame for longevity and improved appearance. 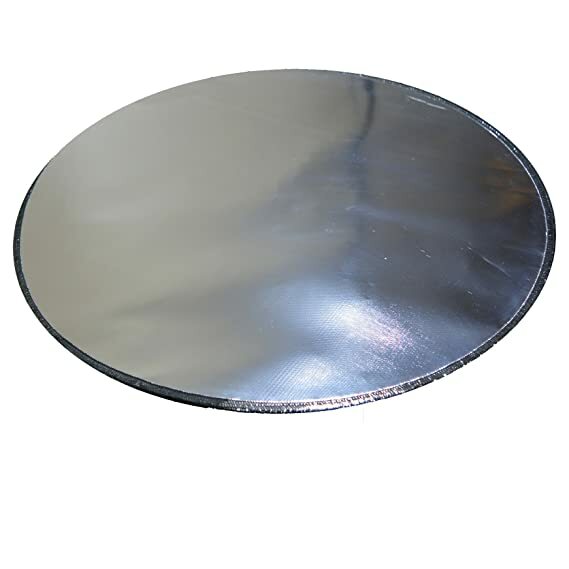 This fire pit heat shield features a high shine metals to reflect heat, the aluminum absorbs the heat, the multi layered metals with an air spaces create an insulation effect thereby balancing elements that pertain to the principles of radiant heat transfer hence effectively blocks heat and prevents damage. Its made in the USA, Deck Defender & Grass Guard, trademarks of Northland Metal Industries, Inc.
USA made fire pit pad combo is fire proof as well as weather resistant. It is made from volcanic rock, fire woven into threads to ensure it will not be effected by weather of any kind including rotting or damage as a result of water or fire. The rack is made from 100% heavy grade aluminum which allows you to leave it out all year round without it rusting or changing color. 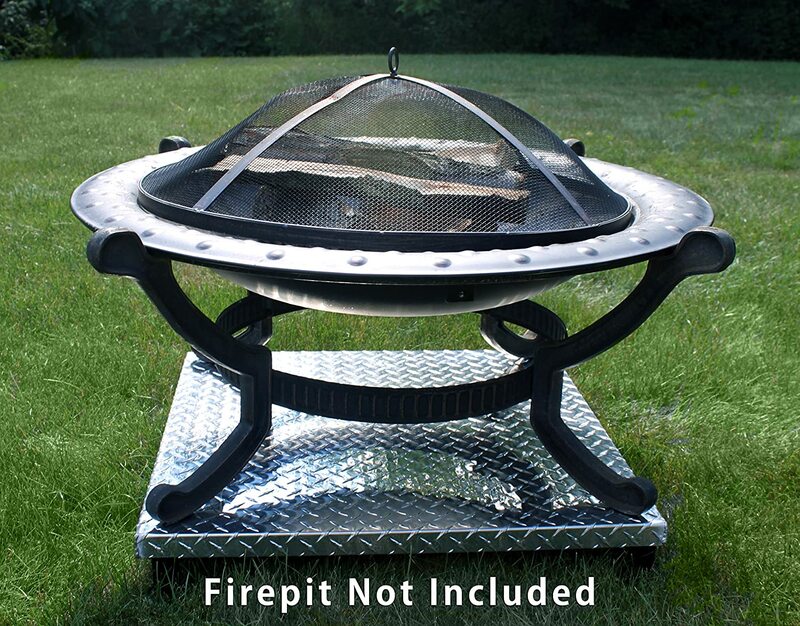 This fire pit pad has been tested to guarantee it can withstand temperatures of up to 1,400 degrees for an extended period of time without damage, which is above the average heat temperature of a fire pit at a maximum of 1200 degrees F.
Have any kind of experience with any of these fire pit heat shield grass guards? Please tell us below in the comment section and help others as well. We appreciate. 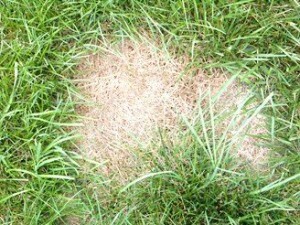 Putting some kind of heat shield between your fire pit and your grass is the most sure way to protect your grass from damage. 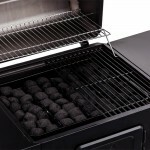 However, if you are not going to put a fire pit pad or something under your fire pit on grass, you may want to increase the distance between your fire pit and grass by going for fire pits that are high above the ground. The higher bigger the distance between the fire pit and the grass, the better.